Football and Fingernails: Pastel Challenge! I started a new challenge that *hopefully* I actually can keep up with! 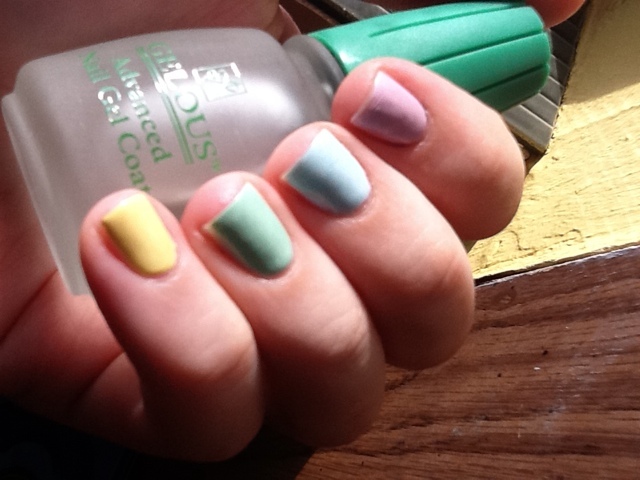 Day #1 was pastels, lately I've really wanted to do a skittles mani so pastel skittles it is! I love all of the polishes used in this it looks super Eastery too! 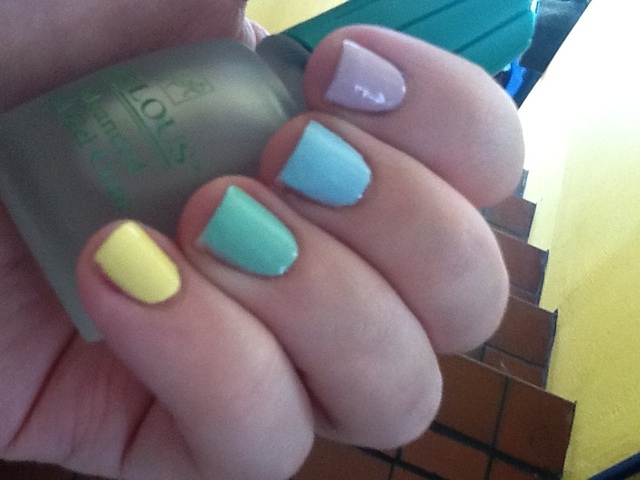 I used ChG Lemon Fizz, Butter LONDON Teddy Girl, Hard Candy Sky and Revlon Minted and Lilac Pastelle. It does look Eastery :) Cute! You have some pretty pastels! love this challenge. Just found your blog! Love the name! Come check out my giveaway! April Showers Challenge- Glitter Tips!